Last time, I raised a question about Mac speaking Chinese, but it was not solved. Why can't Mac use the "Y" to speak Chinese to communicate with the players? @ LoaderFRA: See mac say chinese (I don't think this is how you necro a thread OP), he's basically asking why he can't type Chinese characters into in-game chat on a Mac, even with the proper fonts and such. Thank you. That's exactly what I want to say. Mac and Cheese is the most disgusting thing you can do to pasta. Don't look at it too long! It's a distraction! 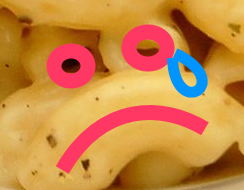 THINK ABOUT ALL THE MACARONI CHILDREN, WHY WON'T YOU THINK ABOUT THE CHILDREN! ?